Background: I designed a simple board a while ago using a ATMEGA328 and a ESP8266. The idea is that the ATMEGA deals with sensor data and the ESP8266 deal with the whole online bit. I did a initial run of 20 prototypes when a client of mine showed interest in the board and data I was collecting. This board consisted out of 1 PIR sensor, 1 Sound sensor, DHT11 for temp, MQ135 for air quality and also a RGB led which helps me debug without the need to connect to serial etc. 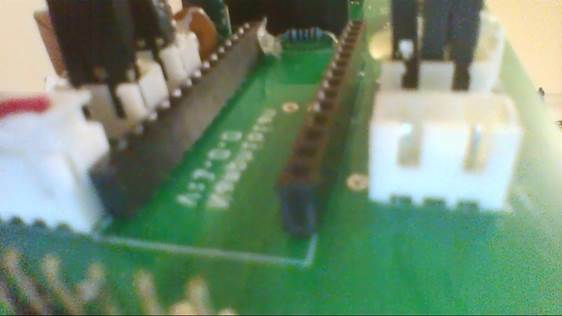 Initially I had JST 2.54mm connectors on the board for connecting the sensors to the board. See this pack of connectors at DFRobot to get an idea of what I was using. The idea was for 20 units to crimp a header to one end stick it into the header on the PCB and then solder the three wires onto the sensors/led and viola all done. Sounded simple but soldering 20 PIR sensors, 20 LEDs, 20, MQ135 with three wires each led to a whole new level of respect for workers at FOXCON!!! On the plus side I now have a level 1 soldering badge. Here is a picture of a my test model I am working with to give you an idea of how it looks. Sorry my cell phone camera is obviously dying at the moment so pic not great quality. NOTE: Dupont connected to JST at the moment is FOR TESTING ONLY! So now the client wants 100 of these boards and I am having cramps in my hands just thinking about it. I was thinking of using just normal PCB header pins on the pcb and then using Dupont breadboard wires between the PCB and the PIR Sensor, LED etc. This will require a lot less soldering and since these devices are going to be mounted in air conditioned offices on a rather stable surface vibration will be kept to a minimum. Essentially I tested replacing the JST with simple headers and using Dupont connectors and it works pretty well. The Dupont female points grab those PIR pins pretty damned tight and I have been unable to shake it loose(trying to simulate vigorous usage of the sensor which wont really happen in normal use). Since I am limited in experience I need some guidance from the Jedi and Sith master on this site. Is using Dupont connectors even advisable for production usage? Alternatives to using either the JST or Dupont? I would rather solder prototypes than focussing on soldering production models. Would a PCB manufacturing house be able to help me with the soldering of the sensors? If not is there other assembly houses that could help? From my research it seems there is no real standard and using what works seems like a logical and viable alternative. Just trying to get some feedback from more experienced engineers and makers. They might become loose over a couple of years. You should use a latching connector, but that really depends on your application and requirements. Check the usual suspects, 3M, Tyco, Molex, Hirose and tons of others. It is usually the work of the assembly house, either SMT or TH (Contract manufacturers), PCB manufacturers produce PCBs, not assembled products. Not the answer you're looking for? Browse other questions tagged design connector production or ask your own question. Why does this low-cost battery powered device use ferrite beads on the power input? Do they make triangle-shaped headers? What component allows DIP to be connected with Dupont style jumper wires?